This post is the technical details behind the article Open Data and GIS improve forest management in the Congo Basin on Esri Insider that provides the background and goals of the Forest Atlas project. Read the background of the Forest Atlas. 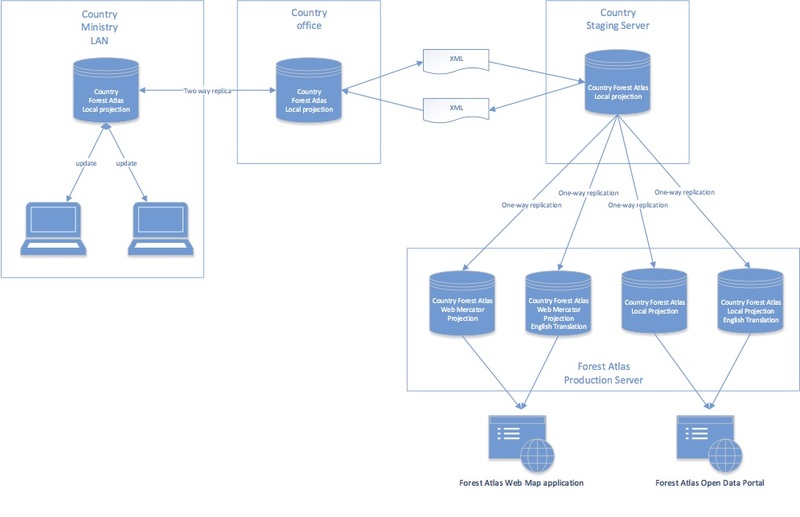 Deploying and managing the different Forest Atlases, each in multiple languages, requires strong technical architecture and capabilities. Here’s a look behind the scenes of what makes these sites run. To ensure that data on each Forest Atlas could help influence national decision making, we introduced spatial planning and spatial thinking across the ministries. To familiarize the officials with spatial data and analysis, existing forest and land-use titles for each country were digitized and published as both printed and interactive maps. The maps showcased the current land allocation, change in land cover as well as interdependencies between the two and helped staff understand the power of these types of analytics. Staff was then further trained in GIS and data management, allowing them to produce maps and analyses themselves. With increased capacity more complex systems were introduced using central servers, enterprise geodatabases and online geodata portals. While ministry staff now manages and updates data on their own, in-country WRI staff still supports the cartography units on a daily basis and provides training on the job to assure continuity and a stable system. 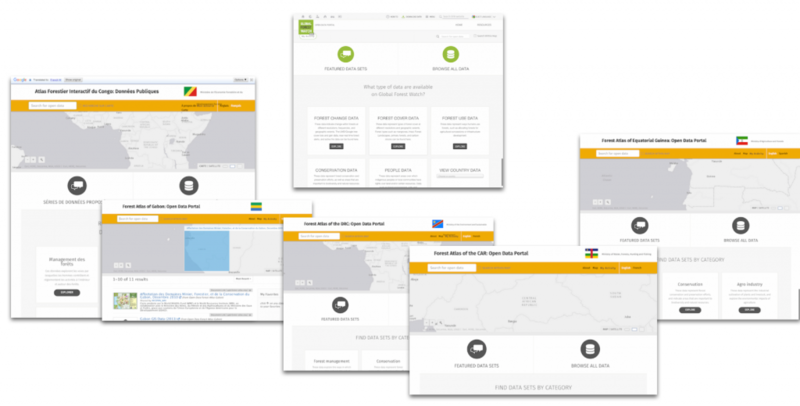 Designing a robust system that allows an entire organization to share its data in the context of the Congo Basin countries is challenging. Things that are taken as granted in the western world such as a stable electricity network and broadband internet are not a given in Central Africa. Although there are many champions, overall computer literacy is still very low. ArcGIS provides solutions that work even in this challenging environment. Cartography units in the ministries are equipped with a central ArcSDE database. 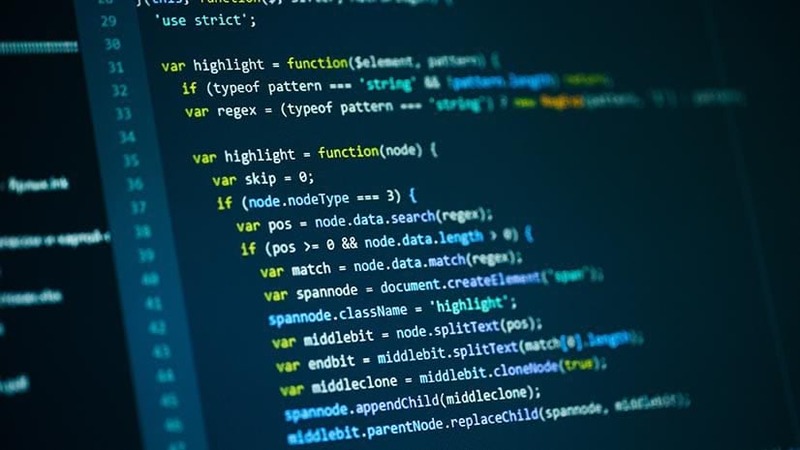 Technicians replicate the geodatabase onto their local machines and can access and edit the data even when the network is down or they are working off side. Versioning allows to keep projects isolated until they are ready for publication. Distinct topology rules help the team to quickly identify inconsistencies in the data. Regular synchronization with the central database assures that everyone on the team always has the latest data. To give non-technical staff access to the maps and other information, data layers of the geodatabase are registered with an ArcGIS Server instance and shared across the ministry using ArcGIS Portal for Server. Portal is configured for disconnected environments and works independent of an internet connection. Forest Atlas applications are hosted on Portal for use within the ministry. Field offices which are out of the network receive regular updates of data in form of delta files by email or USB stick. The public version is hosted on AWS and ArcGIS online to assure high availability. The technicians keep the system up-to-date using delta files to synchronize the online replica of the central geodatabase. Once in the cloud, data are further replicated into live geodatabases which hold copies of the geodatabase in different projections and languages. By translating domains and subtypes within ArcSDE, the Forest Atlases are able to display layers in different language (usually French and English) without needing to alter the underlying data. The data used in web applications are reprojected during the synchronization and directly stored in Web Mercator projection to ensure faster rendering and reduced load on the server while a separate copy in the local projection is kept for distribution via the Open Data Site. Forest Atlases are published using Map Builder, a tool that GFW recently released publicly. It enables anyone to create their own forest monitoring website using their own data coupled with geospatial analysis features from GFW. GFW worked with Blue Raster to develop this web application template based on ArcGIS online, and it is published under the MIT license so any organization can create their own forest monitoring platform with custom data, at any geographic scale free of charge. Users can deploy Map Builder in both ArcGIS online and ArcGIS Portal for Server. Users can customize the web applications by changing logo and branding, plugging in custom data, focusing the map on a unique area of interest or styling data for a specific topic. Different apps can be linked between each other to form a comprehensive atlas. You can access the new template through ArcGIS Online. Source code is located on Github. To learn more about how to use GFW Map Builder visit the GFW How-To page. To distribute Forest Atlas data publicly, forest ministries rely on ArcGIS Open Data. Each ministry using a Forest Atlas has its own Open Data Site where it publishes its geospatial data for public access as well as additional resources such as forestry contracts, reports and other publications. Data distributed through the Open Data Sites are published in their original projections together with comprehensive metadata. Data in English and French are curated using separate open data sites. Users can search data by keyword, full text or location and download the desired dataset. Web developers can find the necessary API endpoints for use in their applications. If not specified differently, all data is licensed under the CC-by-4.0 license, allowing users to use and redistribute the data. 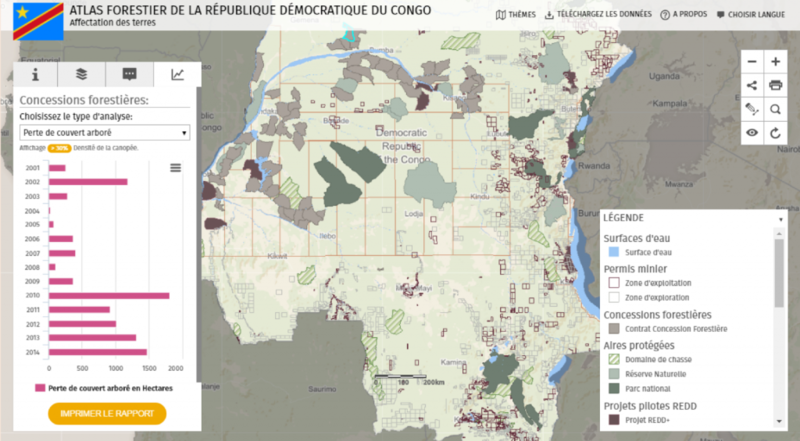 The success of each Congo Basin Forest Atlas demonstrates how capacity building coupled with powerful GIS analysis can improve the management of forests at the national scale. With open source tools like GFW Map Builder, these applications like the Forest Atlases can be scaled faster and easier than ever. So what’s the wait? Get started building your own GFW today!